One of the first efforts our consultant, Alta Planning + Design, has undertaken is studying and reporting the existing conditions as they effect bike planning across our seven partnering cities. 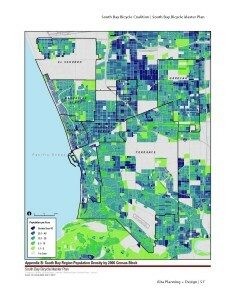 View the existing conditions maps here, which include demography information and existing bike master plans. Check back soon for the associated report.